These time management tips for homeschool moms will help YOU have a more productive day. Homeschooling is hard work, and many times parents can be stressed or overwhelmed from too many activities and not enough time. As homeschool moms we can all agree on one thing-We are BUSY! I am busier now than I ever thought I would be, and busier than I probably SHOULD be…but that’s for another post. Between working from home, homeschooling, church activities, being a wife and mother and just life I feel like I am pulled in all directions at all times. The key to balancing all of these roles I am in is simply to balance my time better. We are all given the same amount of hours in a day, what we do with them is our choice. Here are some time management tips for homeschool moms I have learned through the years. This is hard, really it is. Sometimes I want to go back to bed when the hubby leaves for work, but if I do, I just feel rushed and behind later. I get up at 5:30…every.single.weekday. Saturday’s I get up between 6-6:30. This allows me time for myself before my kids start getting up around 7. I can do my devotion, get an hour of work in, shower, and get ready for my day. If you feel like your mornings are rushed, try bumping up the time you wake up by 30 minutes. I read about a great app when I was completing the Unwired Challenge. It is called Stay Focused and it is for Google Chrome. This has been HUGE for me since I work from home. The app allows you to block pages that may be “time suckers” from your day. If you’re like me, I would get on the computer to work and plan on checking Facebook for “5 minutes” and it would end up turning into 30, and I missed out on getting real work done. Find limits that work for you and stick to them. Time suckers on the internet can steal more moments from our day than we realize if we let them. Another tip is to delete ALL social media apps from your phone. You can access most apps through safari if you really need to. If deleting is too big of a step for you, how about taking them off of your main screen ? Or logging out? Both would require you to take an extra step to use them and that may be the step you need to make better use of your time. Meal planning helps our family SO much. It allows me to know what meals I have on hand, what we are having for dinner, and what I actually NEED to get from the grocery store. 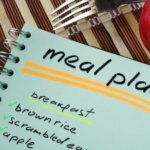 For more information about how meal planning works in our home check out this post about meal planning for the homeschool mom. Don’t make any more trips running errands than you have to. If you need to go to the doctor, take the library books and movies with you and drop them off while you’re out. If your kids have an activity in town, drop them off and run to the grocery store while you wait. Minimizing trips and lumping errands together saves you time, and gas in your car, which in turn saves you money (win/win)! The best tip for easing your mind and avoiding burnout is to start saying NO more often. Limit your kid’s activities to just one apiece. When someone asks if you will be in charge of an activity, invites you to an engagement, or asks for your help on a project tell them you need 24 hours to think about it and look over your other priorities. This gives you time to assess and pray about whether or not you have time for the activity, and if necessary, what you can cut out if you choose to say yes. Just as important as no is, but in a MUCH different way. Sometimes, we need to put aside the to-do list and just say YES. 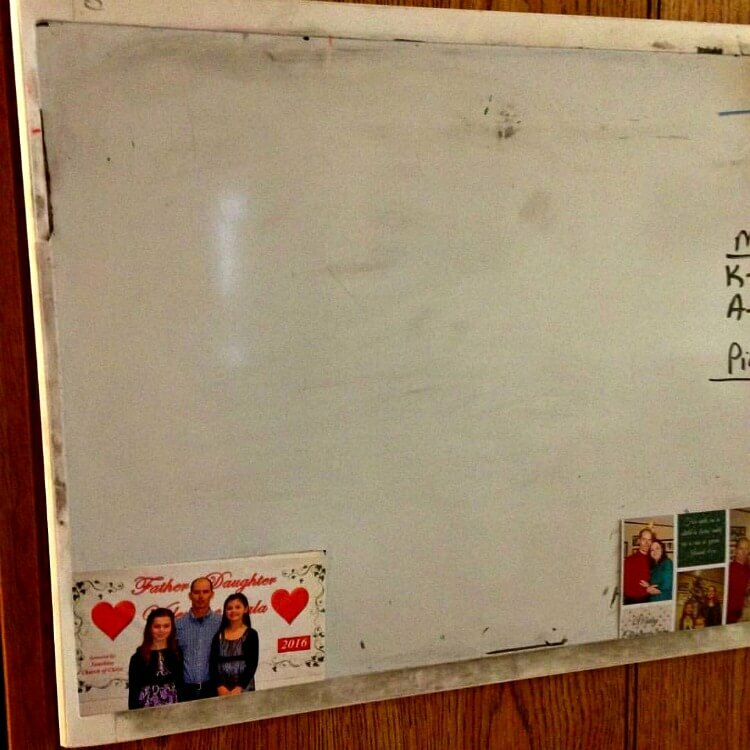 Every day this board above holds my to-do list. Things that need to be accomplished, everything from grading papers to mopping to my work at home mom list. But, the day I snapped this photo it was empty? Why? Because we put it all aside and took a road trip for friendship. You see too often we let our to-dos and life and our own messes interrupt the valuable task of fellowship. But moms we NEED other people. Real life people and conversations. Not just text messages and Facebook. And they NEED us. To lift up and encourage and support. In the same way, sometimes we need to say YES to impromptu activities with our kids, fun days out as a family, a last minute date with the husband. Managing your time is SO important. 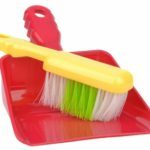 It allows us to have the time we need to get the MUST have items done. But, sometimes we can micromanage our time. And when we are guilty of this (ME!!) it is SO important to sometimes say YES, even when our to do list is telling us to say NO! Homeschooling is hard work, and many times parents can be stressed or overwhelmed from too many activities and not enough time. 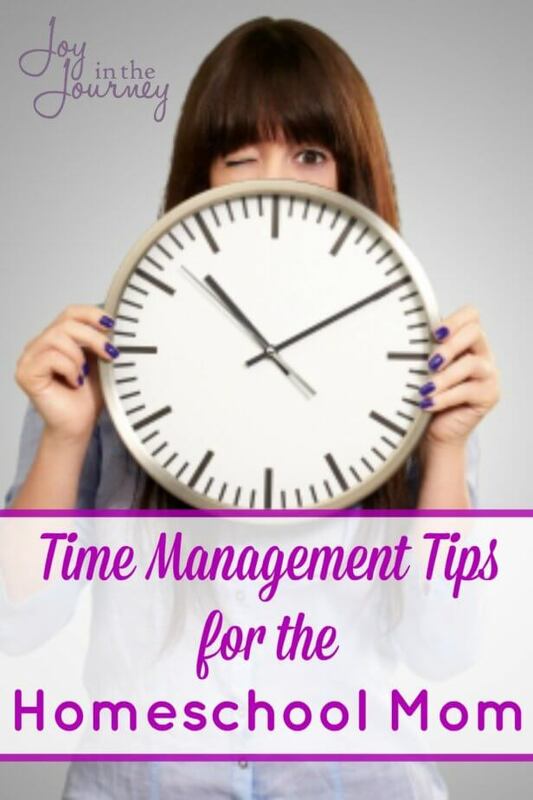 I hope that these time management tips will help! I hope they remind you to say NO to what doesn’t matter, and YES to what does. I hope they remind you that we all have the same number of hours in the day, it is up to us to CHOOSE how we use them. Do you have any time management tips to add? If so, please share in the comments! Can Homeschool Moms Do it All? Want More Tips on Time Management for the Homeschool Mom? Try my FREE email series on having a successful homeschool day. It’s full of tips to help you get the most out of each and every day! Nice post. Scheduling the day in homeschooling is the most important and difficult thing. When there are no strict rules, it becomes very difficult to utilise the time in a productive manner. I liked your point of saying Yes to the priorities , I often fail at this part. Thanks for sharing it. Thank you for sharing! These are some great tips! I am a new stay at home mom and blogger. I am finding a really hard time controlling my time and getting everything done. I want to get up with my husband at 4:30 to get some work done, but I haven’t found the willpower to do that yet. In a few months, I’ll be adding a home preschool to my daily to-do’s, so I really need to start managing my time better. Fabulous tips! I’m going to check out that app – I can get easily distracted when I’m on the computer! I meal plan too and I wake up at 5:30/6:00 am every day (at least 2 hours before my kids) so that I can read my Bible, do my Bible study, pray, exercise and shower. Thanks for sharing these tips (and for linking up to the SHINE Blog Hop). Good suggestion! I am going have to try out that ap! These are really good tips! I try to do each of these things myself but often fail. Especially in staying focused online department. And sometimes meal planning too. Thanks for these reminders of how to be more productive! Menu Planning saves me SO much time! I may have to look into “stay focused.” It happens to me all the time… getting sucked into the internet when I meant to check something for 5 minutes!! Also, getting up earlier is a big one… but I also love to stay up late. I need to find balance there. Stay focused is fantastic! It has really helped me stay on track. Good luck in finding your balance!